Milwaukee, as you may have heard, is the “City of Festivals.” It doesn’t take that title lightly. Between June and August the city is absolutely stuffed with events bearing the “fest” suffix, from big-time shindigs like Summerfest to smaller happenings like Locust Street Festival and the Burnhearts/Pabst Street Party. So why not keep the action going with an especially synth-y, delightfully tech-y fest? 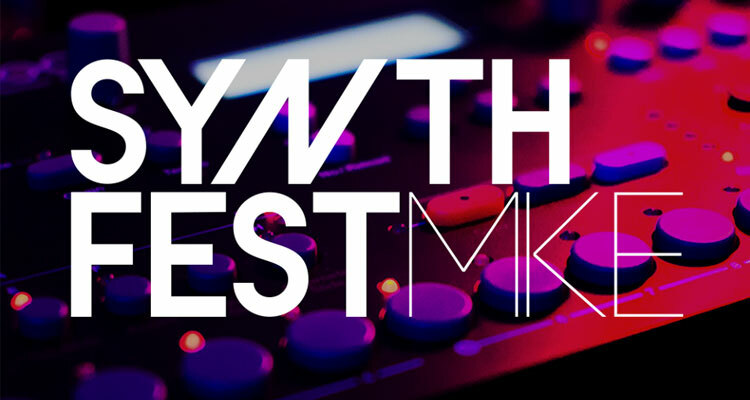 Enter the return of Synth Fest MKE. The second annual celebration of all things good and synthesized in Milwaukee music is scheduled for July 21-22, with two nights of shows at Cactus Club, plus a slew of daytime workshop events at Modular Addict (2633 S. Kinnickinnic Ave.) and Club Garibaldi. Each nighttime show is $15 at the door, or $12 with a web ticket. The workshops at Modular Addict are free to enter, and $29.99-$39.99 to build a kit. The Club Garibaldi workshop is $10 at the door. Limited quantities of full festival passes are available for $30. Check out the full lineup—featuring the likes of Sheila Teruty, adoptahighway, and Doormouse—below. The “MSG” (Mini Søund Generatør) is a desktop device whose brain is a small, swappable computer chip (Attiny85). The maker can interchange chips to alter the behavior of the instrument. Each chip contains a different synthesis technique: granular, phase distortion, amplitude modulation, and frequency modulation. Slimmed down version of his Eurorack Karplus Strong module Karp, with integrated keyboard, speaker, and line out—all running off of USB power! A super simple build, perfect for beginners that yields a playable Karplus Strong synth!